This impressive set is our largest of the fold-over style. 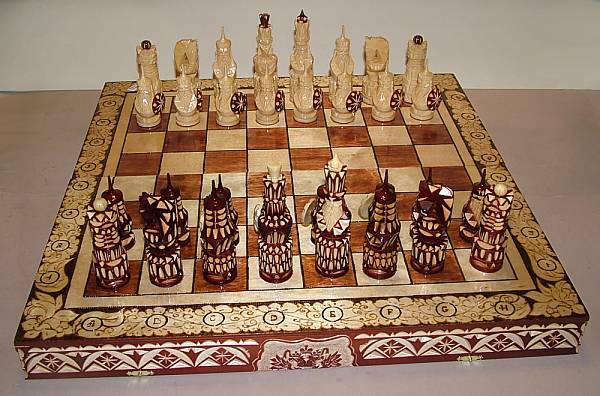 Stained a medium cherry, the side of the board has intricate carvings displaying the woods natural blonde color. When folded, three sides display crests. On the top, the edge is stained medium cherry with black and carved in a floral pattern. The box features two clasps and burgundy lining on the inside. 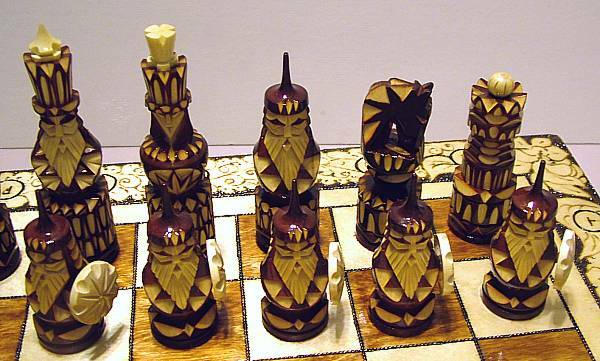 The "Black" pieces are stained a deep cherry, while the "Whites" are blonde with a golden finish. 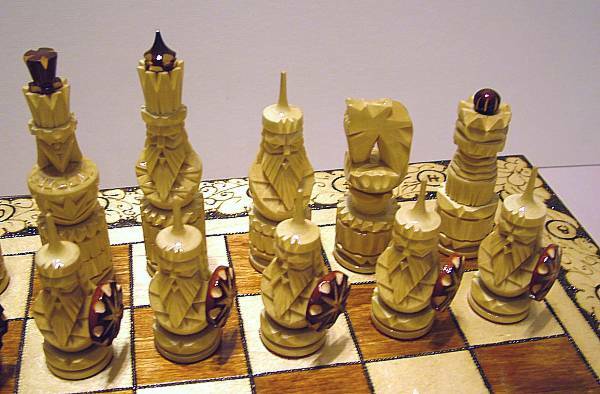 The pawns have shields the color of other side. The King stands at 5" high. A lovely set!